differencemakers community blog: Who are you holding a mirror up for? "The mirror we hold up to the person next to us is one of the most important pictures she will ever see." 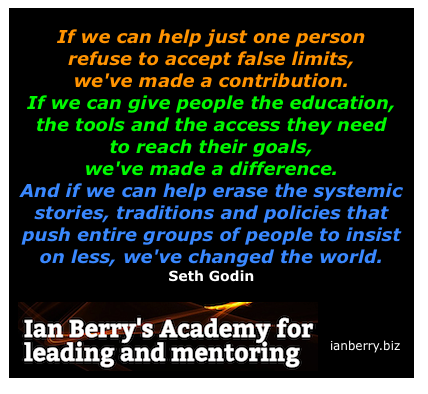 says Seth Godin in this great post. Who is holding a mirror up for you?